Repeater plate on a baggage rack. 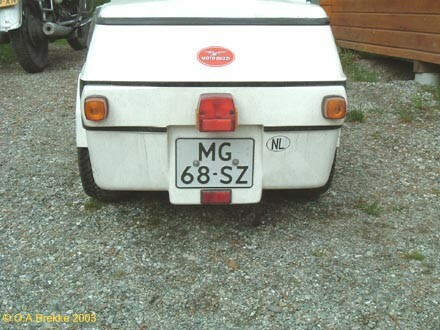 2000 onwards plate style. This is from the 1977-81 commercial series. 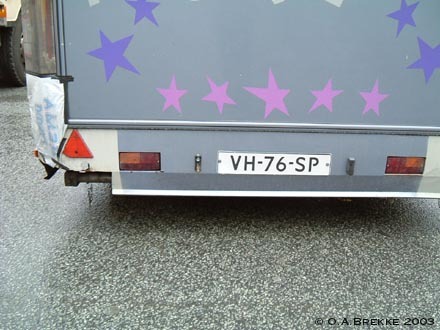 Trailer repeater plate. 2000 onwards plate style. 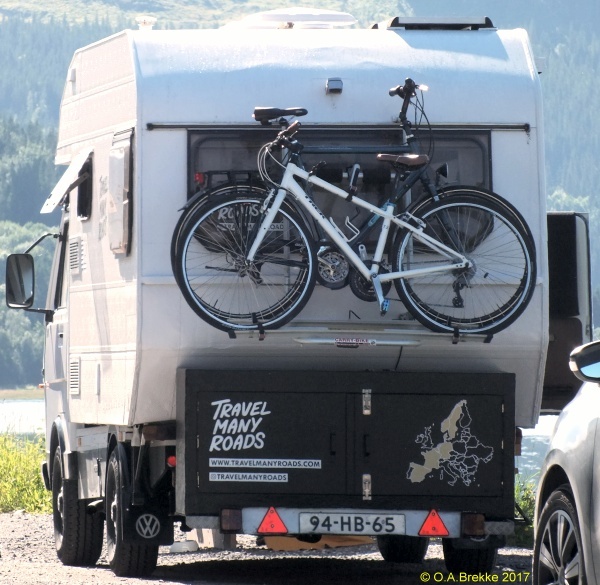 Trailers under 750 kg display the registration of the prime mover, in black on white. This is from the 1981-94 commercial series. Repeater plate. 2000 onwards plate style. This is from the 1981-94 commercial series. Repeater plate on a bike rack. 2000 onwards plate style. This is from the 1994-98 light commercial series. Repeater plate on a bike rack. 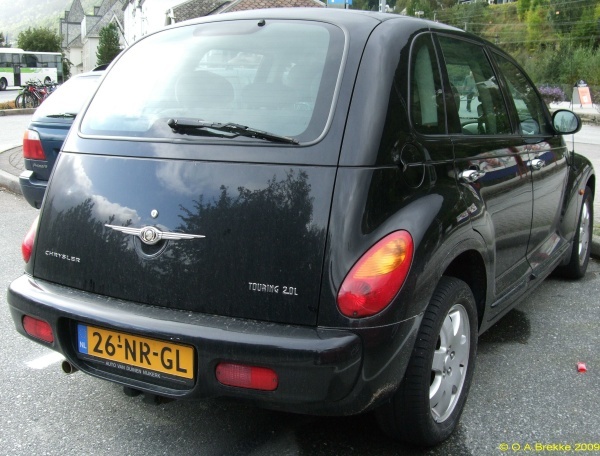 2000 onwards plate style. This is from the 1998-2006 light commercial series. Repeater plate. 2000 onwards plate style. This is from the 1998-2006 light commercial series. 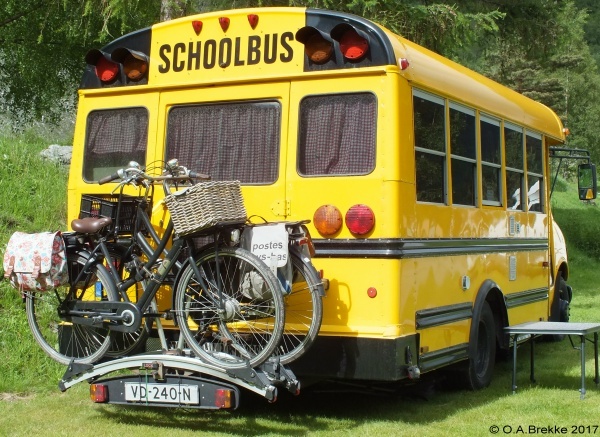 Repeater plate on a bike rack. 2000 onwards plate style. This is from the 2006-09 light commercial series. 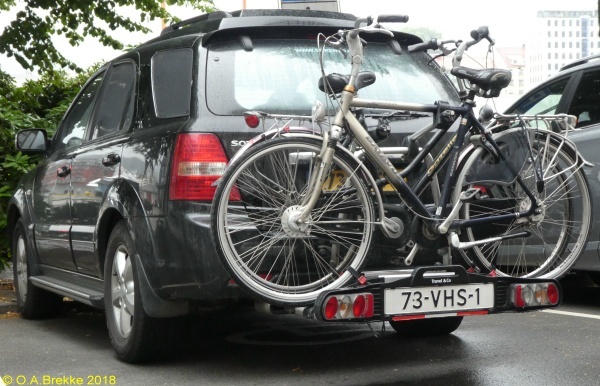 Repeater plate on a bike rack. 2000 onwards plate style. This is from the 2012-16 light commercial series. 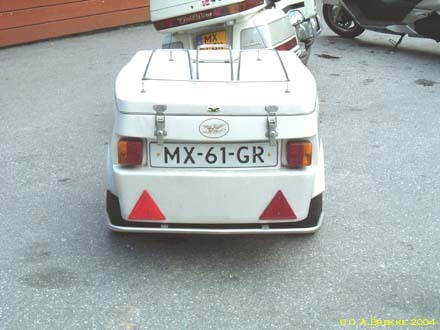 Repeater plate on a moped rack. 2000 onwards plate style. This is from the heavy commercial series 1994-2012. 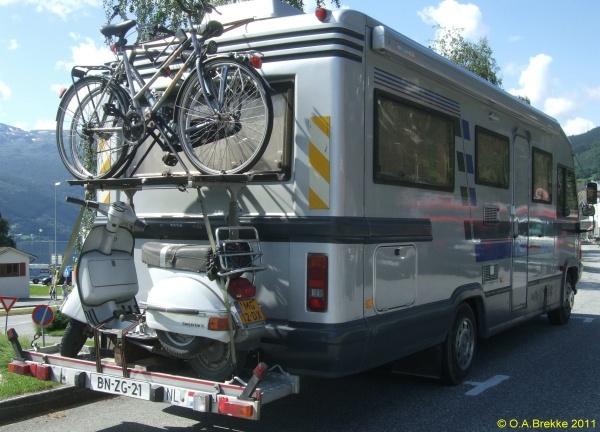 Motorcycle trailer repeater plate. 2000 onwards plate style. 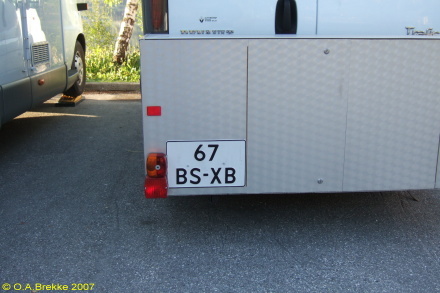 Trailers under 750 kg display the registration of the prime mover, in black on white. This is from the 1979-99 motorcycle series. 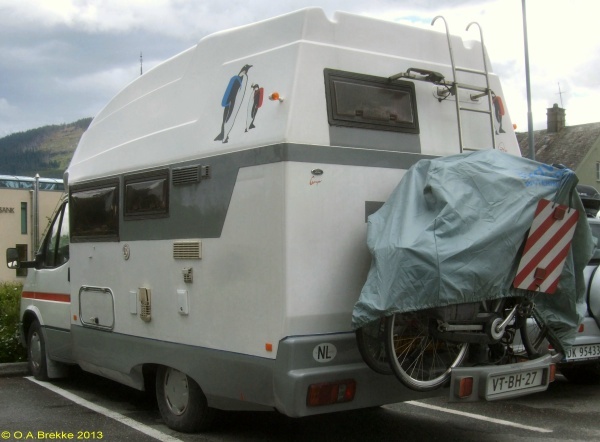 Motorcycle trailer repeater plate. 2000 onwards plate style. 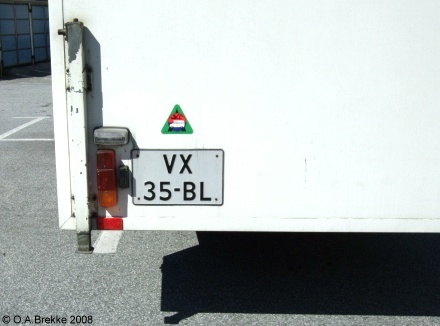 Trailers under 750 kg display the registration of the prime mover, in black on white. This is from the 1999-2011 motorcycle series. 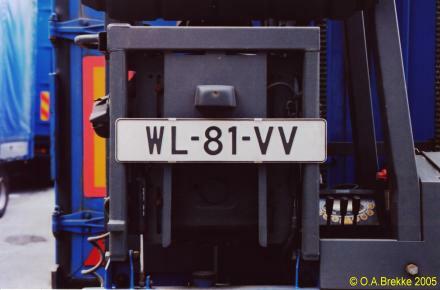 Repeater plate on a forklift obscuring the plate of a trailer. 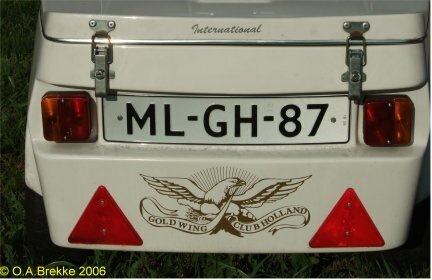 2000 onwards plate style. 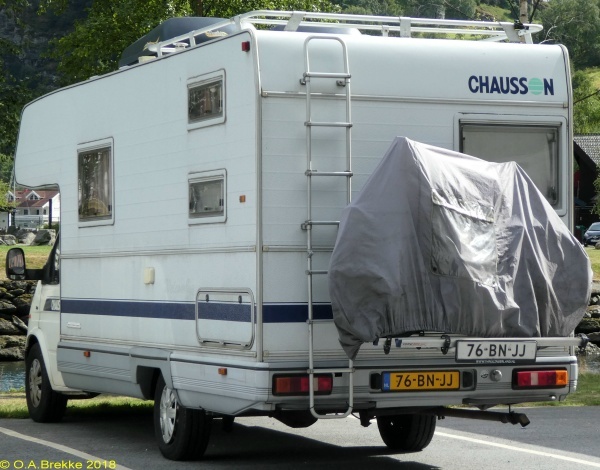 This is from the 1988-2000 trailer series over 750 kg. 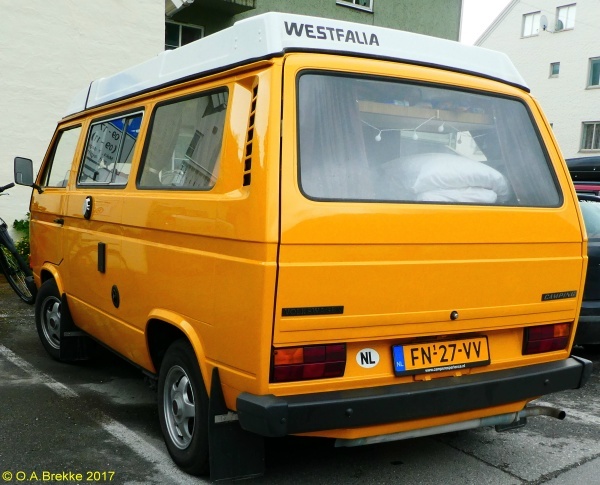 Replacement plate for 1978-91 normal series. Since 2000. The small numeral 1 indicates a replacement plate. 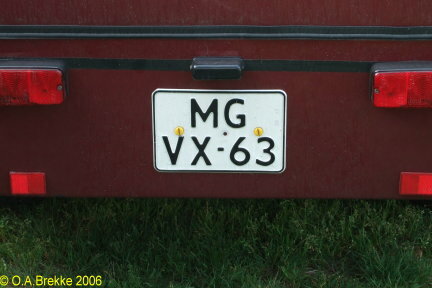 Replacement plate for 1978-91 normal series. Since 2000. The small numeral 1 indicates a replacement plate. The first hyphen shouldn't be there. 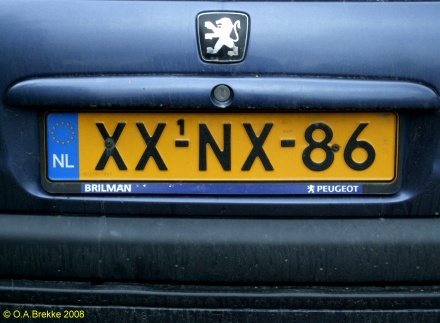 Replacement plate for 1991-99 normal series. Since 2000. The small numeral 1 indicates a replacement plate. Replacement plate for 1999-2008 normal series. Since 2000. 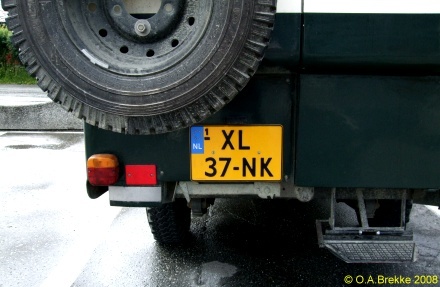 The small numeral 1 indicates a replacement plate.